As the leaning tower of Jenga pieces fell after a heated battle of, what my friends and I liked to call “Spicy Jenga”, I could only dread the immense pain and suffering about to come my way. What awaited me was the big daddy, the jefe of the chili world — the undisputed hottest chili pepper in the world (in 2013), the Carolina Reaper. As I bit into that pepper I tasted only regret. And for the next 8 hours that’s all I felt too. What’s the science behind spicy things anyway? Turns out the main agent for “spiciness” is the chemical compound capsaicin. Found in the placental tissue – tissue that surrounds the seeds of a chili pepper – capsaicin is the primary chemical compound that leads to the “burning” sensation of spicy foods. That’s why when we eat spicy foods, we tear up, have our noses run, sweat in strange parts of our body, etc. in order to flush out the nonexistent heat. However, to our brain, that heat is 100% REAL, and it tries its best to get us away from potential danger. Ever wonder why spicy and hot foods always seem to taste spicier than normal? They both amplify the pain messages sent to the brain! Now, instead of having just spicy pain, your brain also adds in extra pain from the temperature of the foods you ate! Try eating something spicy at different temperatures (heat one batch and refrigerate the other) and see how much of a difference temperature plays in the overall spiciness of the dish. This pain-relieving patch is one of the many kinds of capsaicin (or capsicum) medication available over-the-counter. Aside from being an essential additive in cuisines all over the world, spicy foods play a larger role in our daily lives than we might think. Research has shown that regular chili intake lowered the risk of high blood pressure in a sample of 13,670 adults by almost 40%, even when controlled for diet and weight! Additionally, spices have shown to fight congestion, aid digestion, and relieve muscle and joint pain, as well as play some part in raising our overall metabolism. In fact, capsaicin is used often in the medical field as an analgesic, or pain reliever, due to its ability to prevent the production of Substance P – Substance P being the primary neurotransmitter responsible for pain from capsaicin. The most fascinating aspect of capsaicin is that, the more capsaicin you introduce into your body, the less and less you will feel (you probably noticed how spicy foods are when you first eat them when compared to your last bite). 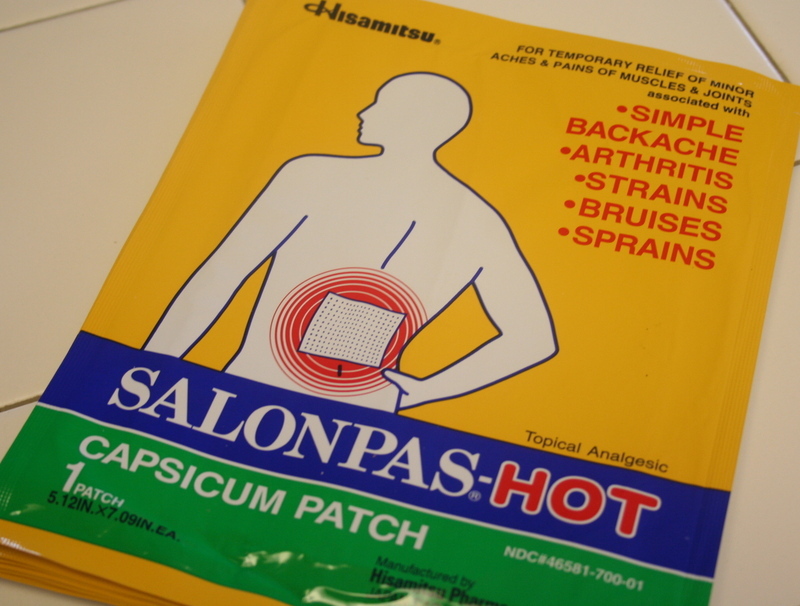 Thus, research has shown that in high concentrations (~8%), a 60 minute application of a capsaicin patch effectively provides pain relief for months on end. Widespread use is slow-going; however, certain prescriptions are available for cancer patients and other people with chronic pain to provide some relief to them. The benefits of capsaicin are still being researched, but even now people are hopeful in its potential in advancing our health and the field of medicine. Though, until more research is done, the most we can do is appreciate capsaicin for how much it spices our lives up!